Have you ever been moved by the lyrics of a song? In this anthology, seven authors of various genres listened to A Big New World’s evocative hit song, “Say Something” – and used their interpretation of the words as inspiration for a short story. 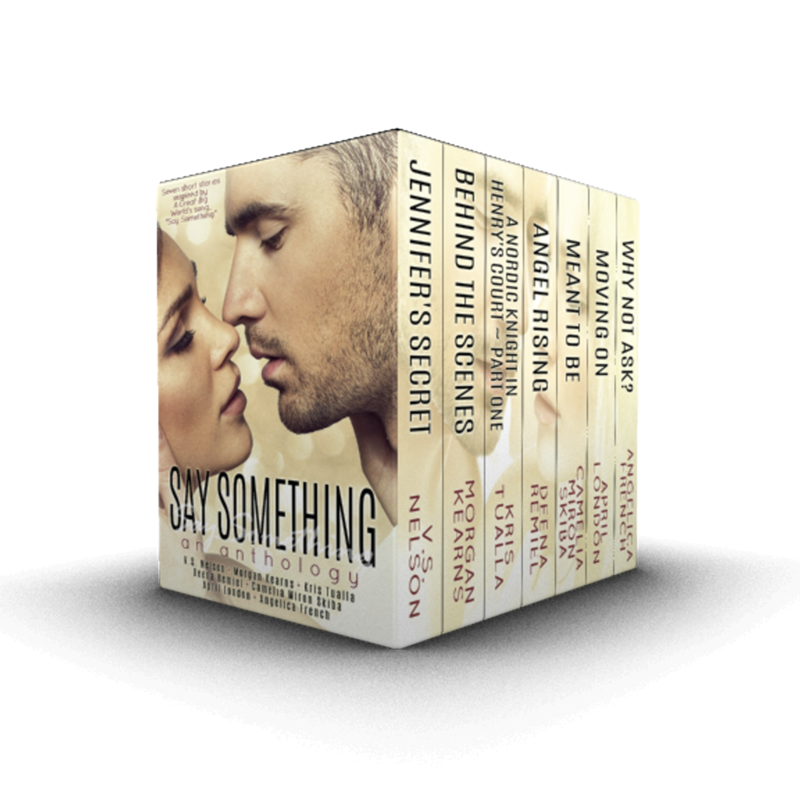 Contemporary to paranormal to historical, enjoy a wide variety of characters and settings, all with the same basic theme: say something. Discover what 7 authors (myself included) came up with by listening to A Great Big World’s song “Say Something.” First step, cover reveal on November 1st (just around the corner). Publishing date December 1st. Can’t wait? Click here: FLASH MOB SIGN UP. You’ll be contacted by one of our authors who will send you the cover before November 1st. Authors Cindy C Bennett, Stephanie Fowers, and Sherry Gammon have joined forces for a Christmas anthology. 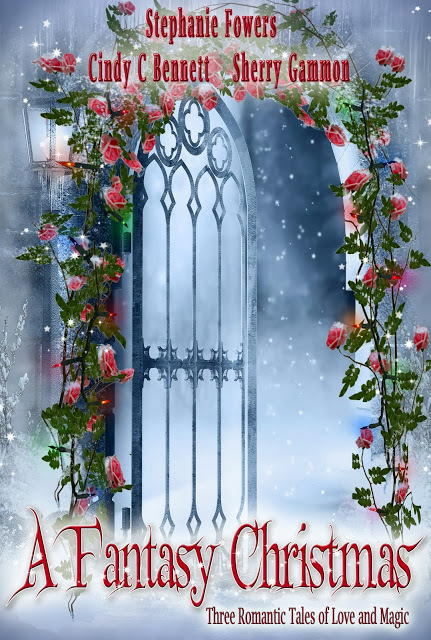 Each has written a romantic Christmas short story with a fantasy theme. There are Elves (think Legolas), Witches, and Greek gods! While I haven’t read the entire anthology I did read Sherry’s short story Loving Marigold. My review is posted on Goodreads, Amanzon and B&N, and decided to post it here as well. 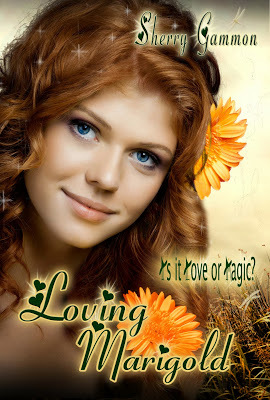 As with everything else Sherry Gammon writes, I had to read her newest story titled Loving Marigold. What a delight it was. I’m not saying that because I’m afraid Marigold will turn me into a toad but because I truly enjoy the story, the characters, and the plot line. We find out from the first pages that Marigold, a high school freshman, is a good witch, channeling her gifts and figuring out first love. We also are introduced to Jack Mahoney, the boy that aside from being tall and handsome, also plays basketball and has a lot of girls fawning over him, including the Fartitious Twins. I liked Jack as soon as he opened his mouth; his sense of humor laced with sarcasm makes him not only funny but he stands out on the page. Next time we meet Jack it’s nine years later, when he returns to the same town he went to school with Marigold. The two of them meet again, soon realizing the sparks they had in high school never died out. Quite the contrary. Unfortunate circumstances throw the two of them together. Past secrets are brought to the light and their love tested once again. How do they come out of it? Well, that’s something you have to find for yourself. What I loved about this novella is its fast pace, clean plot line, its innocent romance, a little mystery and great characters. I smiled and laughed out loud many times, Jack’s quirkiness completing Marigold’s wit like peanut butter and jelly—a match made in heaven. I’ve been a fan of Sherry’s novels ever since she began writing, finding this particular story where her voice shines through. A great read, definitely a keeper for my bookshelf. The familiar whisperings of witch began as I weaved through the thick crowd. I spotted Jack sitting on a desk, a can of Diet Pepsi in his hand. “Marigold, I’m glad you came.” He greeted me with a tight grin as he stood and came toward me. For a moment, I could have sworn sadness touched his eyes, but looking closer into the deep pools of brown, I saw nothing. “Your dad’s giving up his job for the chance that you might get a scholarship?” The move seemed a bit impetuous. Jack had talent, but Dirk, the forward on the team, played better. “My dad works from home so it doesn’t matter where we li—” Two of Jack’s teammates jumped him from behind and one poured a bottle of Gatorade down his back. Jack howled playfully as I jumped back. “You’re dead, Cliff,” Jack shouted after the boy with the now empty bottle. “Sorry, Marigold. I have to get a little revenge. Maybe we can talk later.” Jack took off after his teammates and I turned to leave, not wanting to be there another moment. Was I the only one who imagined that the week we’d spent together was special? It also hurt that he so readily believed the twins about my having a boyfriend. “Why the tears, witch?” Fiona asked. She appeared out of nowhere, blocking my escape route. She propped her hands on her hips, her short denim skirt rode up several inches. Felecia, wearing almost the exact same outfit, mimicked her sister’s pose. “Excuse me. I don’t want to be late for my bus.” I dropped my gaze downward, too upset to try to deal with their games at the moment. I attempted to go around the obnoxious twins, only they were having none of it. “You actually believed Jack liked you, didn’t you?” Felecia asked, flicking a strand of my frizzy hair. I snapped my head up and glared into the girl’s watery gray eyes. “Is that why you lied and told him I had a boyfriend and couldn’t come to the party?” At least, I hoped that was what happened. Because if Jack really didn’t care about me . . . I shivered at the thought. “So you’re protecting him from me then?” I asked, stepping toward the twins. I stopped. They had a point. What did it matter? The boy I loved was leaving. The only person ever to have defended me against the witch taunts. I turned for the door, but stopped when I heard the twins’ snide laughter. It burned hot in my stomach. Before clearing the door, I casually flipped my hair over my shoulder, or at least I hoped it looked that way to my classmates. In fact, the gesture meant much more. Through my strands of hair, I wiggled my index finger at the Farious twins. A stink rose from the girls so vile people actually tripped over themselves in an effort to escape. When the unmistakable noises started, laughter filled the room and fingers pointed at the girls who would forevermore be known as the Fartious twins. 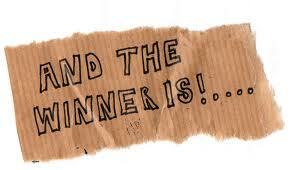 As promised a week ago when I launched the giveaway for one e-copy of the summer anthology It’s A Love Thing, I counted the comments and, using random.org the winner is … Erin @ # 4.